Tackling Grinch Feet + Grooming Giveaway! Mauja and Atka often suffer from something which we affectionately call, “grinch feet”. 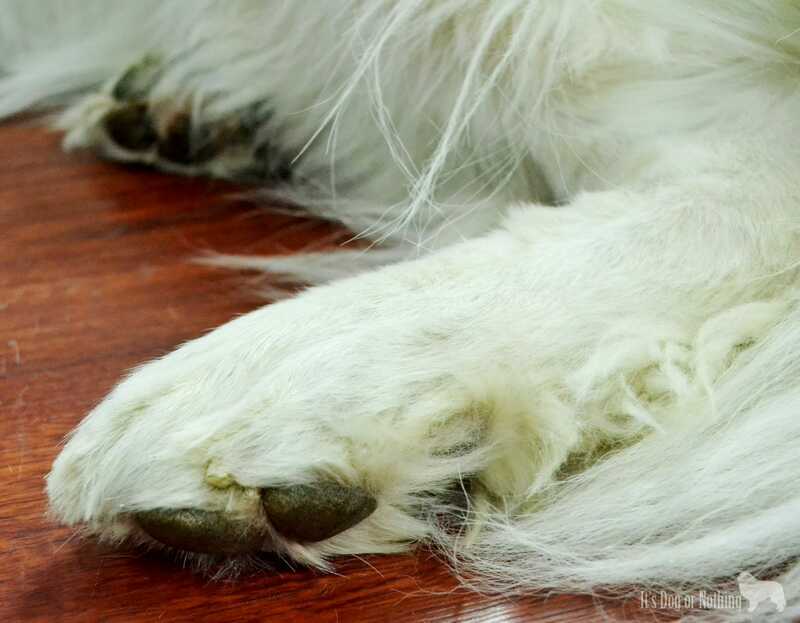 Don’t worry, their feet don’t turn green, but the fur around their feet grows and grows until you really don’t have a distinguishable paw: grinch feet. Now, I have no delusions about my grooming ability. I can bathe, brush, and remove tangles/mats from the fluffies. I can clean their ears, brush their teeth, and trim their nails. This saves us a LOT of money on professional grooming since it allows us to only get them groomed a few times per year. The groomer handles the grinch feet for me. I avoid clumsily poking their toes with scissors. Score. The problem is that their feet need to be trimmed more frequently than they have grooming appointments. Their long paw fur looks silly, but it also makes it a bit uncomfortable for them. They require adequate amounts of fur between their toes to protect them from the elements, but they need to be trimmed enough so that they aren’t slipping around on wood floors. Trimmed paws also helps to prevent snowballs from forming in their fur when they stubbornly stay outside in the cold. It was time for me to learn some basic paw trimming techniques. I’ll admit – I had no idea where to even begin in the search for trimming scissors, which is partially why I have put off learning for so long. I knew I couldn’t use the scissors I had in my kitchen, but I wasn’t sure what to look for. When I was given the opportunity to try the Micio Micia Dog Grooming Scissors, I couldn’t pass it up. These grooming scissors have a lot of features that aren’t easily found combined in other brands. 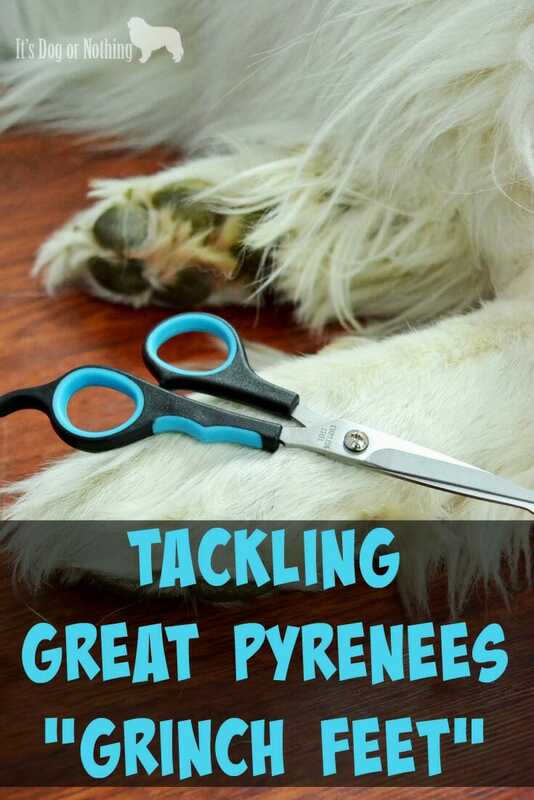 Safety Rounded Tip – No worries about poking them if you slip (super important for a novice “groomer”, such as myself). Non-Slip Ergonomic Wave Handle – Adds extra comfort when trimming and helps to avoid slip ups. Non-Slip Rubber Padded Eye Rings – The padded rings also helped to add extra comfort when trimming their feet. Finger Rest – I thought this was kind of silly until I started using the scissors. Makes handling so much more comfortable and is the perfect place for your pinky! Micro-Serrated Stainless Steel Blades – These blades are absolutely amazing. They cut the fur so perfectly and without error. Easy to Handle Size – The scissors are a total of 6 inches long with the blades being 2 inches. Long enough to make a clean cut but short enough to allow for control. I still have learning to do, but they look much better! I’m really pleased with the quality of the scissors and how easy and safe they are to use. Mauja and Atka will still go to their groomer several times a year for a better grooming, but I’m glad to be able to keep their paws trimmed on my own. 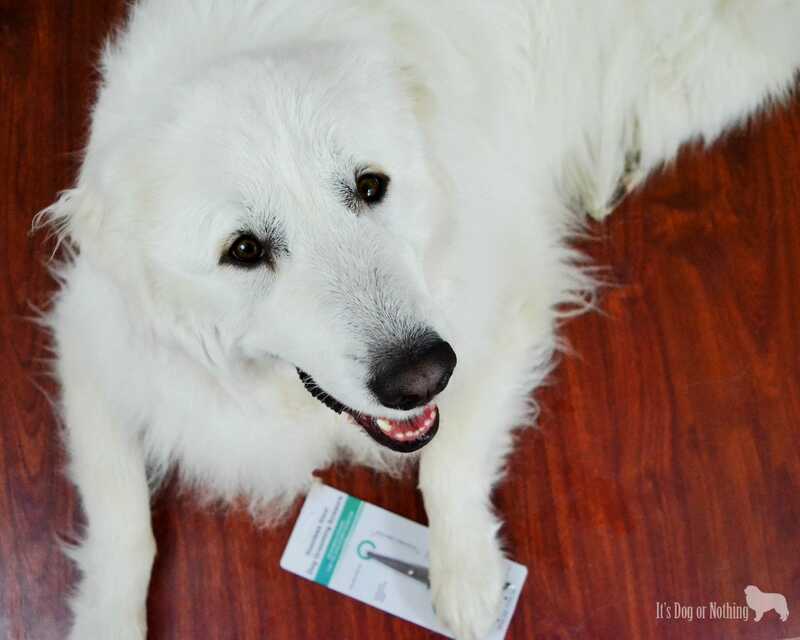 Interested in trying the Micio Micia Grooming Scissors on your dog (or cat)? Enter the giveaway below for your chance to win. Three (3) winners will be selected! My biggest grooming struggle is my dog’s fluffy tail! It catches EVERYTHING and gets matted REALLY fast! Ugh, grinch feet and Kramer hair, little curly sprigs sticking up where they don’t belong – drives me BONKERS! i have 3 mini schnauzers. i would have loved to have stripped them, but it is so time consuming and since i dont show them, it is hard on them as well. the hardest part i have is their feathers and beards, keeping them clean and no tangles. We get those same grinch feet with our golden retriever. I also try to keep them trimmed in between grooming appointments. We have these scissors now too and they make the job so much easier! my biggest issue is that her hair gets really long and covers her eyes before the rest of her body needs a haircut! this would be great to have so I can do a quick touch up in between real haircuts! My biggest grooming challenge is the knots that form in the long hair behind my dog’s ears. Clipping his nails.is a challenge…we where just talking about how we need to find some good clippers! My dog’s biggest challenge is his long hair. We have to keep it brushed or it will knot and tangle. Grinch feet, lmao. I’m thankful Bain doesn’t have the long fur, it gets stuck in clothes bad enough! 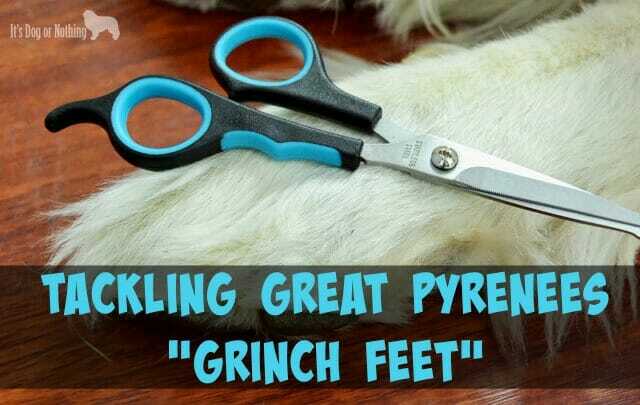 This is a common issue in our house too – in fact we just trimmed the boys grinch feet over the weekend. They can get so out of control it’s unbelievable! I love the grinch feet although in my house we call it Seussical feet. My Pyr is not a huge fan of the trimming but when it is raining and muddy they have to go. I will have to look into these scissors they sound great.